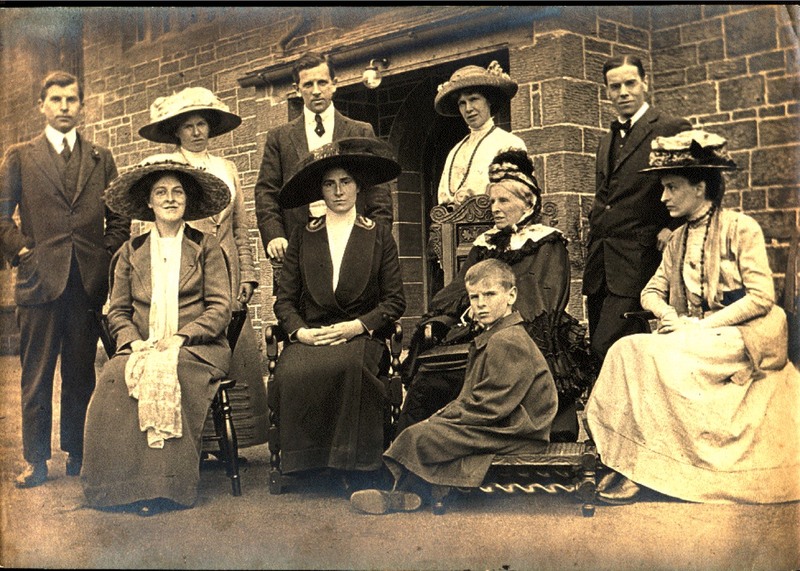 Welcome to the Clement-Jones (Jones of Llay) Family Website, showing the descent of the family (including the Stewart-Jones’ family) from Richard Jones and Mary Lloyd living in Pentre Cae Heilyn (or Pentre Cuhelyn) Llanfair Dyffryn Clwyd Parish, Denbighshire in the 17th Century. It consists of details of over 15,000 individuals dating from the 16/17th Century and in some cases much earlier. It shows family connections with the poet Margaret Cropper, the founder of Pennsylvania William Penn, the Killigrew family of playwrights and courtiers, the artists Elizabeth Pulford and Julian Trevelyan, the novellists Mrs Elizabeth Gaskell, Rose Macaulay, William Makepeace Thackeray, EF Benson, Maria Edgworth, EM Forster and Evelyn Waugh; William Wilberforce and Henry Thornton of the Clapham Sect, the crime writer and playwright Edgar Wallace, the diarist William Hickey, the famous headmaster of Rugby School, Dr Thomas Arnold, the Huxley family of scientists and writers, the philosopher Henry Sidgwick, members of the Bloomsbury Group Virginia Woolf, Vanessa and Quentin Bell and Roger Fry, the poet Matthew Arnold, the writer and orator the Rev Sydney Smith, the composer Ralph Vaughan Williams, the missionary and African explorer Dr David Livingstone, health reformer William Rathbone IV, the celebrated English nurse Florence Nightingale, the prison reformer Elizabeth Fry, the keen anti-slavers William Wilberfoprce, James Cropper, Thomas Babington, Zachary Macaulay and Joseph Sturge; the potter Josiah Wedgwood, the eminent naturalist Charles Darwin, the Fabians Sidney and Beatrice Webb, Edward III King of England, Owen Tudor and King Henry VIIth,Thomas Cromwell, Sir Winston Churchill the famous wartime Prime Minister, the nobel prize winners Frederick Sanger, Alan and Dorothy Hodgkin, and William Henry and William Lawrence Bragg, the celebrated historians Thomas Babington Macaulay and GM Trevelyan, Sir Wavell Wakefield, the well known rugby player and later politician, the traveller and writer Gertrude Bell, the famous soldiers the Duke of Marlborough, Earl Kitchener and the Duke of Wellington, John Hampden,”the Patriot”, Oliver Cromwell, HH Asquith the Liberal Prime Minister, the actress Helena Bonham Carter, the well known Architects Alfred Waterhouse and Detmar Jellings Blow, Bruce Lee, the kung-fu film actor, the founders of Jardine Matheson, the Joyce watch and clockmaking family, Griffith family settlers in South Africa and Tasmania and numerous other naval, military, academic, medical, political and clerical figures. It also shows descent from Trevor, Bridges, Blount, Bellers, Hampden, Montagu (Manchester) Boscawen (Falmouth), Trevanion, Killigrew, Plantaganet, Pelham, Irby, Godolphin, Hampden, Philipps, Griffith, (with branches in South Africa and Australia as a result of settlement in the 1820’s) Duff (Fife), Ibbetson, Bridges, Bellers, Paton, Cadell, Backhouse, Wakefield, Winstanley, Wilson, Beakbane and Cropper families and connections inter alia to the Tatton- Brown, Joyce, Kingcome, Gravell, Bosanquet, Benson, Rathbone Fleming, Fry, Goyder, Holland (Knutsford), Hibbert, Gaskell, Babington, Gisborne, Chute, Thorold, Hodgkin, Fletcher, Fox, Delves Broughton, Bagot, Booth, Hobhouse, Holt, Potter, Shebbeare, Kitchener, Fraser (Lovat), Macaulay, Wilberforce, Sturge, Gurney, Crewdson, Pease, Braithwaite, Willink, Joyce, Verney/Calvert, Shore/Nightingale, Huxley, Darwin, Trevelyan, Bonham Carter, Conybeare, Leslie, Lushington, Buxton, Wedgwood, Matheson, Keswick, Ho/Hotung, Gilfillan, Bowker and Philip families. It also charts the mtDNA line of the “King in the carpark” Richard III and links back to King Edwards I and III and King James II. In his celebrated essay “the Intellectual Aristocracy” marking the retirement in 1955 of the historian GM Trevelyan as Master of Trinity College Cambridge, Noel Annan described how family connections are part of ‘the poetry of history’. ‘They call to mind the generations of men and women, who were born, married and died, and perhaps bequeathed to their descendants some trait of their personality, some tradition of their behaviour’ which ‘persisted in their grandchildren and their grandchildren’s children.’ A great many of those mentioned in his essay are included in this website. If you have any new details to add to the family records or any photos do please contact us.